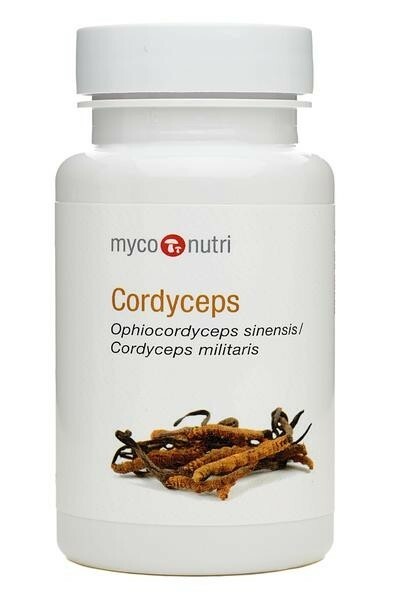 Many of the key active compounds produced by Cordyceps are secreted into the growth substrate and MycoNutri Cordyceps combines full-spectrum Ophiocordyceps sinensis mycelial biomass grown in the USA under nature-identical conditions with a concentrated extract of cordycepin-rich Cordyceps militaris, combining these two powerful Cordyceps species. Contains 0.3% cordycepin. 60 x 500mg vegetarian (HPMC) capsules. Ingredients: 450mg Ophiocordyceps sinensis mycelial biomass, 50mg Cordyceps militaris extract.